Item0046.05 - On the Trail to Grande Prairie Alta. Item0046.06 - On the Trail to Grande Prairie Alta. 1 photograph : b&w ; 5x7 in. Peter Klassen homesteaded the quarter section next to the quarter Mr. Connolly homesteaded. 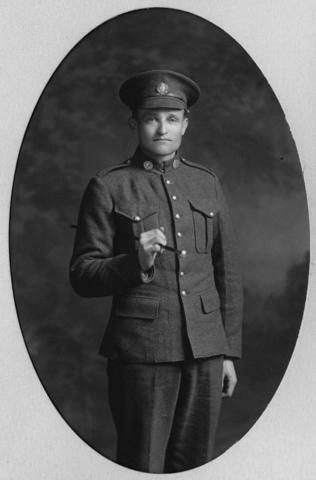 He served in World War I and died of wounds received at Courcelette on November 4, 1916.